My name is Shelly and I am a coffee addict along with my husband Sam and my mother Carol. All three of us will admit to you that we can't get through a single day without enjoying our coffee! With that said, the three of us enjoy different coffees and at different times of the day. This means that it's import that we have a single serve brewer so that everyone gets the coffee that they prefer and at the time of day that they prefer it! For the past few years we've exclusively have owned a name brand single coffee brewer and I have to admit to you up front...the OPUS Dial-A-Brew Single Serve Brewer from iCoffee is our new best friend! That's right...we got rid of our "famous" coffee maker and now only use this one! It's a state of the art machine that brews the perfect cup of hot coffee, hot tea or hot cocoa each and every time! The OPUS brewer features SpinBrew spinning jets technology for a noticeable smoother tasting coffee plus the exclusive Dial-A-Brew control to customize the strength and size from 4 ounces up to 12 ounces in size. The OPUS has a 75 ounce water reservoir, removable drip tray for easy cleaning, energy-saver feature and automatic shut-off. It's the industry's only 2 step SafetyLock system to protect consumers. On top of those cool features one of the things I absolutely love about it is the large LED display screen. I can easily see it and I don't have to put my glasses on. Second, I LOVE that SpinBrew Technology which is their patent-pending needle that uses jets to spin, steam and stir inside every K-compatible cup, creating a mini french press life effect that virtually eliminates any bitter or acidic aftertaste. This technology ensures beverages will always taste rich and impossibly smooth. 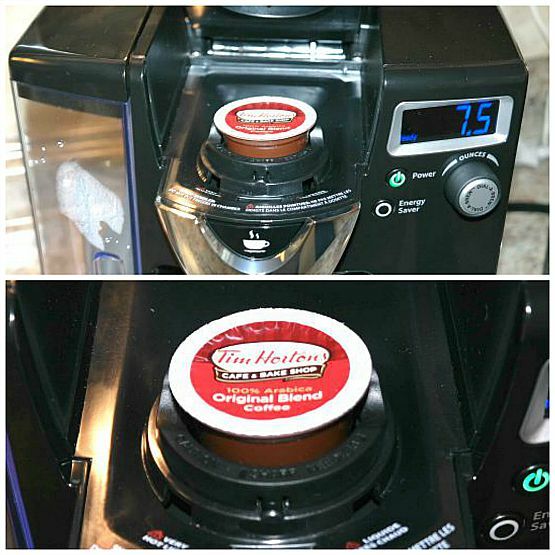 No other K-Cup brewer can do that! If you love a certain brand of coffee or don't want the expense of always buying K-Cups you can use their exclusive iCup Reusable which is the only reusable coffee filter that works with the SpinBrew needle in the OPUS brewer. This means you can buy any ground coffee that you would like and use it in this machine with the iCup Reusable! I received a complimentary OPUS Dial-A-Brew Single Serve Brewer from iCoffee to review for all of you. Ever since it arrived at my front door, I've been using it numerous times every day. Along with the brewer I got a 6-pack sampler of coffee and a iCup Reusable. This brewer comes with a really nice instructional manual to help you get started if you are new to using a single cup brewer. Matter of fact, this is the easiest to operate single brewer that I've ever owned!!! I read over my instructional manual, set up the brewer and within 10 minutes of taking it out of the box...I was ready to brew my first cup of coffee from the OPUS Single Serve Brewer. You simple fill up your water reservoir, set your dial for the ounces you need, pop in your K-Cup of choice and the machine will let you know when it's ready to brew. Within a minute...you will have a delicious coffee waiting for you to enjoy sitting in your cup! My coffee was brewed to perfection and I mean perfection! There was no grounds floating around in my cup...I had the perfect amount brewed for the size of cup I was using, it was HOT and better yet, there was no bitter after-taste. Smooth and delicious!!! In addition to using it to make coffee...we've been using it to brew hot tea and hot cocoa too! Any of the K-cups you find out in the retail marketplace can be used with this coffee brewer or like I previous stated above...get yourself the reusable K-cup and use whatever ground coffee that you prefer. Over the past 4 years or so I've owned several different models of Keurig machines, a Tassimo and now this OPUS Dial-A-Brew Single Serve Brewer. Out of all of the machines that I've owned I can honestly 100% tell you that this brewer is the BEST one that I've ever used!!! You can learn more about iCoffee by visiting their site online. If you are looking to buy a single serve brewer I highly recommend the OPUS Dial-A-Brew! Looking to buy? Use their store locator on their site to find a retailer near you or buy online. Giveaway: One lucky winner is going to win an OPUS Single Serve Coffee Brewer from iCoffee! I guarantee you will love this machine! See below on how you can enter! Giveaway Details: This giveaway is open to residents of the USA ONLY who are age 18 and over. Please read the Terms of Service and Disclaimer Policy before entering. This giveaway will close on September 19th, 2015 at midnight EST time. The prize will be fulfilled by the sponsor mentioned in this blog post and will be shipped by the sponsor directly to the confirmed winner after it has closed/ended. Disclaimer: Shelly has personally reviewed the product listed above. Shelly has not received any monetary compensation for her review. Shelly did receive a free product to try out so she could evaluate and use it for her review. Her thoughts & opinions in this review are unbiased & honest and your opinions may differ. The Shakin N Bakin Blog is not responsible for delivery/shipping of giveaway items won from this blog nor are we responsible for mis-use or injury caused by items won from this Blog. Content on this blog is copyrighted, all rights reserved. We reserve the right to legally pursue anyone who violates our rights and/or steals our copyrighted material. Not sure if my comment went through. There are 3 kinds of brewer being featured. One if a pourn brew, dial a brew and one touch. I learned I can buy their products at Kmart and Kohl's. I like to make a whole pot of Columbian coffee in the mornings and then drink a single serve or two in the evening. I learned that their needle is a bit longer than a Keurig and spins inside of the cup. My favorite morning coffee is Breakfast Blend. I entered the Ohuhu makeup organizer giveaway on TCC. I learned they have an Energy Saver mode and automatic shut-off feature, two must-haves for me. I enjoy the bold coffees, usually Colombian or French is good. I just entered another giveaway on TCC for the Bottom Line and a Core Defined fitness DVD. I learned that this coffee tastes like a drip coffee maker with the convenience of a K-style single-serve brewer. I entered the TCC Ohuhu make up,organizer. I learned that one of the ways the iCoffee brewer makes better coffee is that it uses jets of hot water to stir the grounds, which they say extracts maximum flavor. I'd sure like to give it a try to see for myself! I entered the TCC giveaway for TITUS Precision tweezers. Hi, I entered the Sitota Collection Body Candy at TCC. I love the whole idea of that!! Not sure if I was supposed to leave a comment for this, but I do follow you on GFC! iCoffee uses technologies that spin, steam and stir throughout the brewing process to open up the grounds. I entered the Natural Way Organics giveaway on TCC. 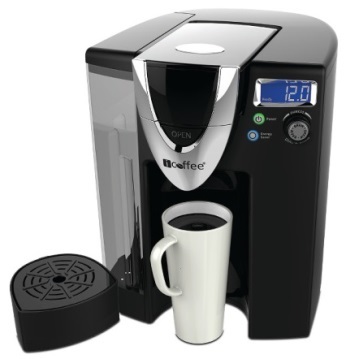 While browsing the iCoffee site, I learned that not only does their spin brew technology prevent clogging in the needle, it also unlocks and releases all the coffee flavor in a way that has never been done before. I would LOVE to try some coffee brewed in this innovative way! I love my coffee dark and strong. Thank you for sharing about this incredible product! I re-pinned your pin of Mill Creek Park in Discover Ohio, love that board! I entered another giveaway on TCC for Made From Earth Vit C Moisturizer. Hot water jets stir the grounds maximizing flavor. I learned that "The iCoffee Opus is covered by a 1 year manufacturer’s warranty against defects in materials or workmanship under normal home use." I enjoy Columbian and French Roast coffees. Repinned Bacon Wrapped Tater Tot Bombs. Entered the Ohuhu Make-up Organizer giveaway at Two Classy Chics. Hi! I entered the Sitota Collection Body Candle at TCC....looks wonderful. Thanks for the chance to win!! I learned they use the SpinBrew™ Technology. I like Cinnamon coffee. I see they have an automatic turn off feature which is a must have for me. Also, very easy to clean! Love it. I entered the Bottom Line and a Core Defined fitness DVD giveaway on TCC. I entered the Children's shoes from Pediped giveaway on TCC. Bruce realized that the only way to have great coffee taste at home was to re-invent how coffee was brewed at home. So he did just that by inventing SpinBrew Technology for single serve brewers and SteamBrew Technology for multi-cup brewers. I like chocolate hazelnut coffee. I entered the TCC Natural Way Organics giveaway. I learned it has automatic shut-off mode and Energy Saver mode. I just entered the Colgate Total Daily Repair products giveaway on TCC. I entered the TCC giveaway PureCare Natural Dish Soap and Duster. I am surprised that it beat the Keurig in a taste test.. I entered the Strawberry Shortcake DVD on Two Classy Chics. and i forgot to put that i enjoy flavored coffees with milk/cream. Deb E follows you on GFC. I learned that the Opus can only use their own iCoffee reusable cups due to the needle being longer and it spins the grounds inside the cup. entered Umi shoes GC giveaway! I entered the Fat Hair Amplifying Cream Giveaway on TCC. I entered the TITUS Precision tweezers giveaway at Two Classy Chics. I entered the giveaway for the PureCare Natural Dish Soap and Duster. I learned that they were featured on a morning show against Keurig and won the taste test. My husband loves coffee. He likes dark and bold. I entered the Fat Hair giveaway. I entered at TCC for the Titus tweezers. I need help with my unibrow! entered pure care dish soap. I learned that they use a spin brew technolgy for their coffee. I like a mild or medium brewed coffee with a little milk and sugar. I entered the bottom line and core defined fitness DVD on TCC. I entered the TCC. Pediped Chilean shoes giveaway. I entered the TCC giveaway for the ToiletTree Professional Oral Irrigator. I entered the Back-to-School with Umi Children’s Shoes giveaway. I entered for the ToiletTree Oral Irrigator at TCC. Nice product, we could use it! I learned that the grounds spin steam and stir inside the Kcup, makes sense as all of the grounds would be used. I love breakfast blend coffee with just a little cream. I am following icoffee on Instagram as upstatemissy. I just entered the ToiletTree Professional Oral Irrigator giveaway at TCC. I entered the TCC Toilet Tree Oral irrigator. I entered the TCC giveaway PureCare Natural Dish Soap and Long Handle Duster. Hi! I also entered the Collapsible Cooler from The Wagon Store at TCC. Thanks!! I like the spinning option that prevents the coffee from clogging. My instagram name is tallulahjane65 and I followed. I entered the collapsible cooler from the wagon store giveaway on TCC. I entered the TCC Gears!Gears!Gears! Giveaway as Jo-Ann Brightman. I learned that the coffee brewers use a SpinBrew technology, which is different and technologically advanced. Sorry, I left out what kind of coffee I like. My favorites are usually flavored with hazelnut creamer or other flavorings. I entered the Titus precision slant tweezers contest. I entered another giveaway on TCC for ToiletTree Professional Oral Irrigator. i entered 'Fat Hair Amplifying Cream' on tcc. entered the pet playland building set. I learned that the multi-cup coffee brewers do not need coffee filters and can make up to 12 cups. I love my coffee with French vanilla creamer. Hi! I just entered at TCC for The Pink Monogram Clogs. It was you guys who got me started on my love affair with clogs, and these are so special! I learned that iCoffee uses technologies that spin, steam and stir throughout the brewing process to open up grounds....amazing! I entered the shampoo and conditioner from Maple Home Holistics giveaway on TCC. I like that the spinner keeps it from clogging. You can use any type of water with this machine. My fav coffee is caramel flavored. I went to their site and I learned that they list their BBB reviews on their site about their company and products and that is important to me I always read the reviews before I buy a new product like this. My favorite coffee is hot mocha flavored. I entered UMI on Tcc today. The OPUS has a 75 ounce water reservoir, which I need because we love to make so much coffee at a time and I like just regular coffee the most my husband does like the flavors vanilla, caramel, etc. I entered the Creative Fun with the Pet Playland Building Set giveaway. entered Pink Monogram Clogs giveaway. Hi there! I entered for the MasterLock Luggage Lock at TCC. Perfect, I am planning a trip to Minnesota! I entered pair of clogs from the pink monogram giveaway on TCC. I entered the TCC giveaway Gears!Gears! Gears! By Learning Resources. I entered the TCC giveaway for the pair of clogs from The Pink Monogram. I learned that SpinBrew™ Technology for single serve brewers and SteamBrew™ Technology for multi-cup brewers spin, steam, and stir throughout the brewing process to open up the grounds, unlocking and releasing all the coffee flavor in a way that has never been done before. I like my coffee with chocolate flavor. I entered the maple-holistics giveaway. Hi ! I also entered for the Fat Hair Amplifying Cream at TCC. My hair is a hot mess and I need help! I entered the TCC giveaway for Pink Monogram clogs. I entered the vampire diaries DVD giveaway on TCC. I entered the made-from-earth-skincare giveaway. I entered the TCC giveaway ToiletTree Professional Oral Irrigator. I entered the TCC Umi Children's Shoes giveaway. I entered the Luggage Lock from Master Lock giveaway on TCC. Hi ! I entered for the TSA approved luggage lock from MasterLock. Going to need it, I'm planning a nice trip! I entered the Toilet Tree Professional Oral Irrigator giveaway on the TCC blog. I really like that you can use any K-cups with their coffee brewer. I would like to use this machine sometime. I entered the TCC giveaway Shampoo & Conditioner from Maple Holistics. I entered the Patricia Friberg Bottom Line A Core Defined DVD giveaway. I entered the The Wagon Store Collapsible Cooler Bag giveaway on TCC blog. I learned that you can use all kinds of water with this machine, including tap water and bottled water. I enjoy vanilla and also hazelnut coffee. Good morning! I entered for the ToiletTree Oral Irrigator. So much easier than using convention dental floss! Thanks for the chance to win! I learned they have an Energy Saver mode and automatic shut-off feature. I entered the TCC giveaway for,the Professional Oral Irrigator. I entered the made from earth vitamin c moisturizer giveaway on TCC. I learned that it's similar to the kcup only instead of the water just going straight through as oppose to the icoffee that has a spinning needle so that you get better quality coffee, with better flavor. I like black silk coffee, with vanilla coffee creamer! I entered the Original Sprout giveaway. I entered the TCC giveaway for the Original Sprout Salon Products. I also entered for the Fat Hair Amplifying Cream at TCC. Thanks! I entered the 3 book set by Christina Lauren giveaway on TCC. I entered the Ohuhu Makeuo Organizer giveaway at TCC. I entered the Made From Earth Vitamin C Moisturizer giveaway. I entered the TCC giveaway for Gourmet Dog Treats by Leela Ryan. I also entered this giveaway; The Vampire Diaries: The Complete Sixth Season & The Originals: The Complete Second Season. I learned that the coffee maker "spins, steams, and stirs" throughout the brewing process. And I love a sort of dark roast, like French roast! Thank you so much for the chance to win! I entered the original sprout salon products giveaway on TCC. I learned that it creates a mini French press-like effect and produces a smoother tasting coffee. I like my coffee black with sugar. I entered the TCC Pink Monogram Clogs giveaway. I learned Bruce realized that the only way to have great coffee taste at home was to re-invent how coffee was brewed at home.